Kitchen Design | The Life and Times of a "Renaissance Ronin"
I want an ISBU Kitchen for my Farmhouse! As a result, we’re stretched pretty thin (literally scattered across the country), so instead of starting a “primer series on pilings and foundations for ISBU structures” that we’d planned for this timeframe, we’re gonna reach into the mail bag and see what kind of mischief we can get in. Hang on… here we go! We LOVE, LOVE, LOVE the idea of using containers to build our home. We live in rural Wyoming, where weather rests heavy upon the home you live in. Our farm is a heavily wooded site and we’d like to incorporate logs into our ISBU build. You know, earthy, organic, natural… just like you reinforced in our consulting sessions with your team. We thought that maybe we were “overreaching” when we started out on this path, but you showed us how to use “the old” blended with “the new” to make our dreams become reality. As we start thinking about WHAT we’ll build specifically, we’re working room to room. We both cook, so the kitchen is going to be a focal point. We don’t want “gourmet” or a “chef’s kitchen”… we just want to be able to cook together in comfort. Where we’re stumped is in the “kitchen” department and all the various materials blending in together. ISBUs, logs, stainless steel, granite tiles. It all gets so confusing! We know that you don’t like to insulate inside the ISBUs (we know that you prefer to do it on the outside) but we’d like some kind of veneer or covering on the interior walls. There will be places in the house that the corrugation will show, but in the kitchen and family room, we’d kinda like to keep it clean and traditional. Most of the ISBU homes you see on the Interweb are pretty sterile. They’re bland, boring, minimal. We don’t want to live in a museum or an art gallery, we want to live in a warm, cozy, embracing environment. We’d like finished walls and a finished ceiling (preferably with light cans installed in it). I know that you love “High Cube” Containers because of the extended ceiling heights, but we’d like recessed lighting. 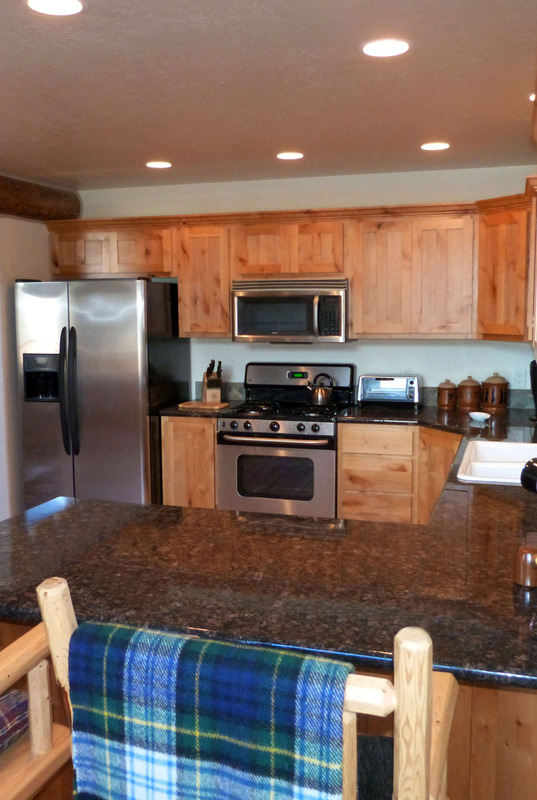 We imagine a corner kitchen with an Island or a Breakfast Bar and we’re going to build it out of materials that we pull out of another log home. We’re going to refinish the cabinets in a light color so that they’re not “overwhelming or dark”. We’re thinking about a “honey oak” color. I know how you love to recycle and repurpose, so that’s our goal for this new house. We’d like hardwood floors. We thought about polished concrete, but it just doesn’t do it for us. Have you ever done this before? Mixed Steel and Wood to construct a very “cabinish” kind of farmhouse? I’d love to see some photos of how you blended the two materials together to make a Cabin or Farmhouse kitchen. One of the really nice things about using ISBUs to build homes is that they’re just metal boxes. Think of them as modular blocks that stack together to form “space” that can literally look like anything you want. The limit really is your imagination. MANY ISBU homebuilders end up with finished structures that are hard-pressed to identify as ISBU Metal Monsters. It’s for this reason we have so much fun with them. they can become anything we want, in any color of the proverbial rainbow. They take on any shape we need, they’re “tonka tough” and are not difficult to construct (once you get the basics under your belt). We’ve helped families build ISBU homes that defied their origins. Even up close, you just couldn’t TELL that they started out as “glorified cargo boxes” that lived lives plowing the high seas full of Chinese Electronics headed to Walmart. You asked it we’d ever combined ISBUs, Logs, Granite and Stainless Steel. You “doubled up” by asking if we’d ever done it with recycled and repurposed materials. This was built last year. The ranchhouse was constructed out of ISBU wings joined together by a log structure in the center. It was (and in my personal opinion) and IS the best of both worlds. I’m doing something similar with my own ISBU Home. 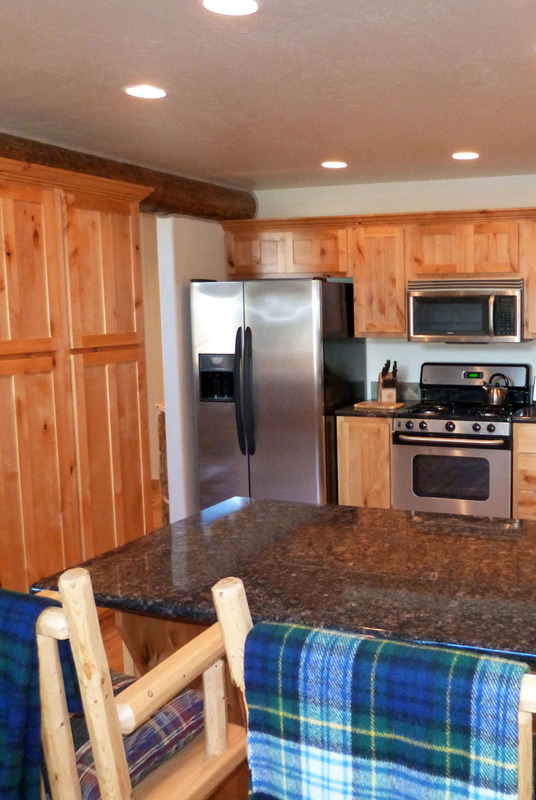 Cozy, comfortable cabin style kitchen big enough for two adults to cook in. Check. Recessed Lighting in ceiling. Check. All of it safely tucked inside strong, sustainable, durable, low maintenance ISBUs. CHECK! The point is that unless you SAW the house go up, you’d never know that it was wearing steel lingerie. All you see is the dress. And that dress can be anything you can imagine. The key is good design and then good execution. Get those right and you’ll have a winner. Now, all this talk about kitchens is making me hungry. I’m outta here. Till next time, be safe, be well and be kind. Many readers who follow the blog know that we preach about taking long hard looks at the space you use, so that you can build spaces that provide for your needs without waste or excess. Many of our readers are using ISBUs to build vacation retreats – “getaway destinations” that are used seasonally. These hunting cabins, fishing cabins and rural retreats need to provide the required services without breaking the bank. 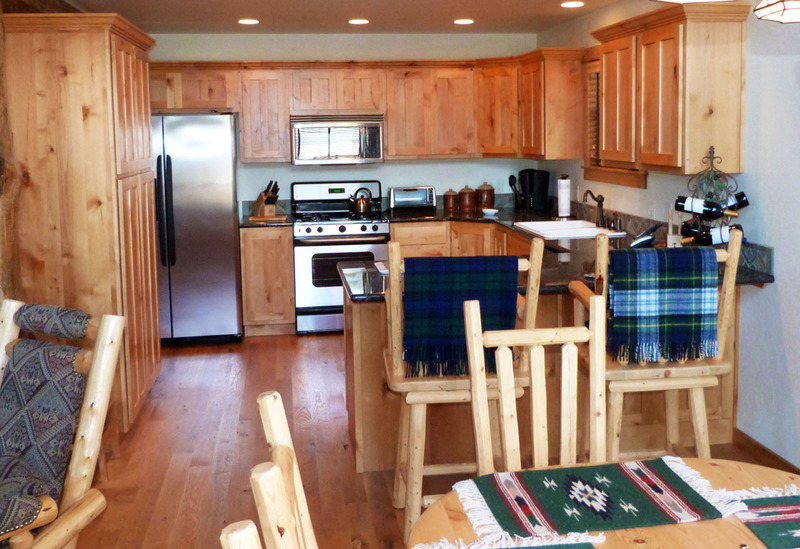 Many ISBU families are down-sizing and building “ISBU cabin-style” homes that occupy small footprints, while providing large benefits. They do this by building multi-purpose, multi-tasking spaces that can expand and contract to provide services. Many of our readers are using ISBUs to build “tiny house” structures that provide maximum usage in a minimum footprint. When this unit is closed, it’s difficult to figure out what it’s purpose is. 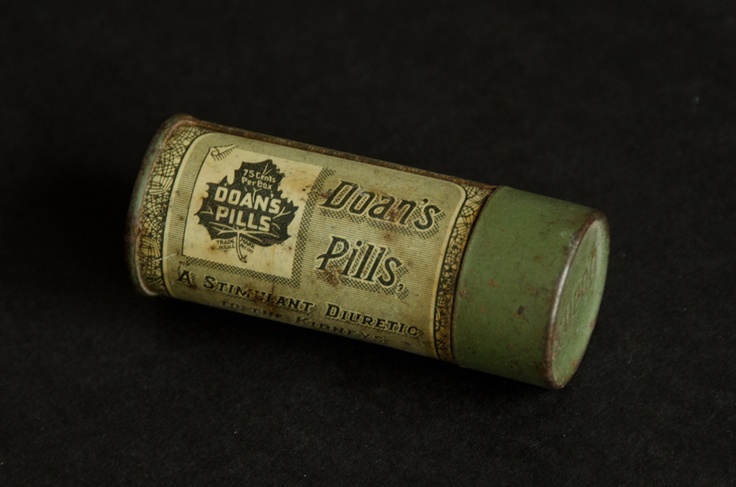 But once you start opening the modules that it’s comprised of, you’ll find yourself amazed. 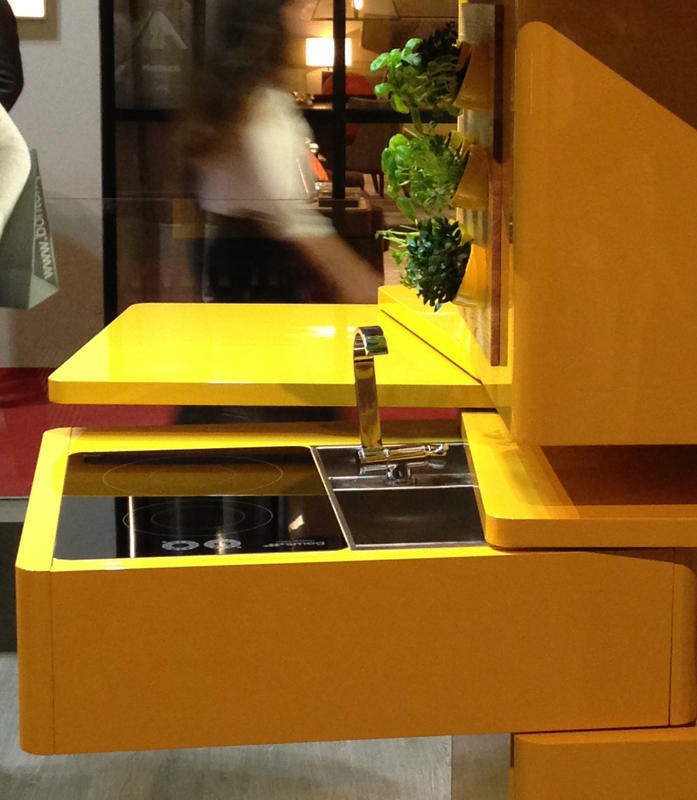 A sink, with a faucet that you tuck into the bowl when you twist the sink module closed. A four-burner induction cooktop — plus an air vent and purifier powerful enough to clean the air of a 150-square-foot room. 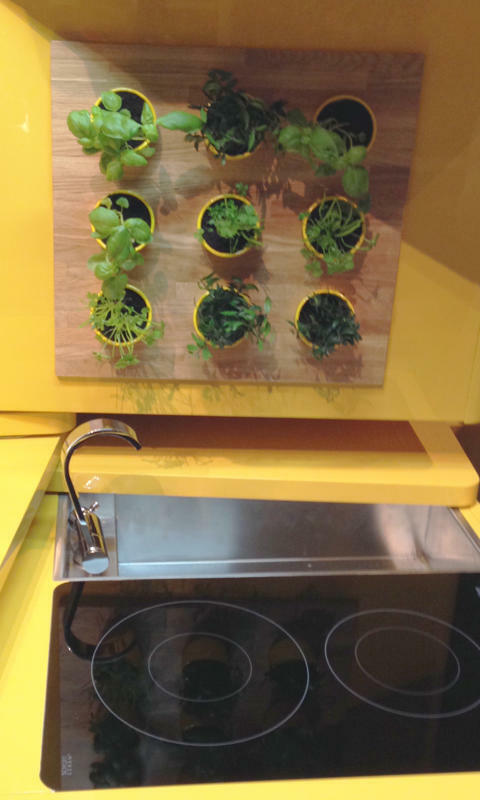 An herb garden fed by gray water (your dishwater from the dishes). 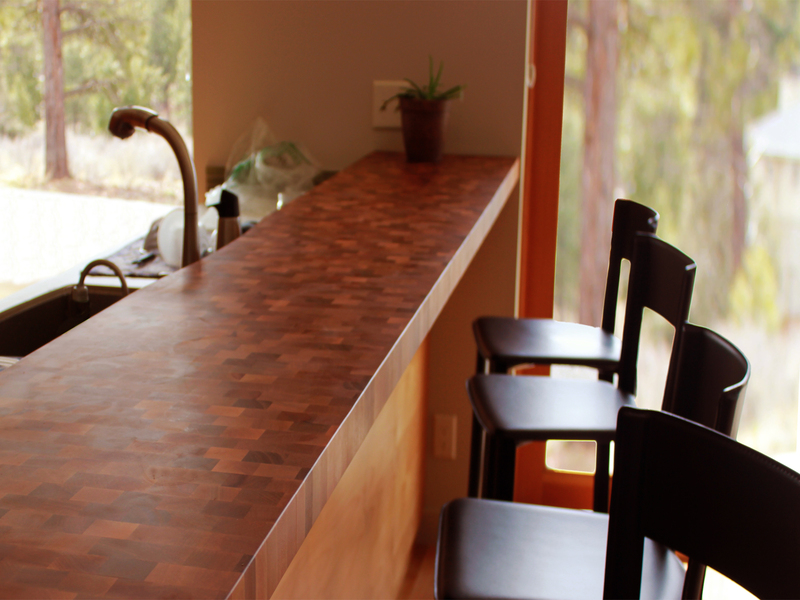 (3) separate countertops adding up to 15 square feet of surface area, available for prep work or dining. It’s called the Ecooking kitchen from Clei and it’s the poster-child for good looking, streamlined, multipurpose, transformable, space-efficient kitchen activities. The kitchen was originally projected to hit the market by the middle of this year, but Clei’s American distributor says that there is one more technical issue is left to resolve, so it’s now expected to go on sale in Europe in October; the United States will follow soon after. “It’s much more a reality now than a theoretical exercise,” said Ron Barth, co-founder of Resource Furniture in New York, exclusive North American distributor of Clei. 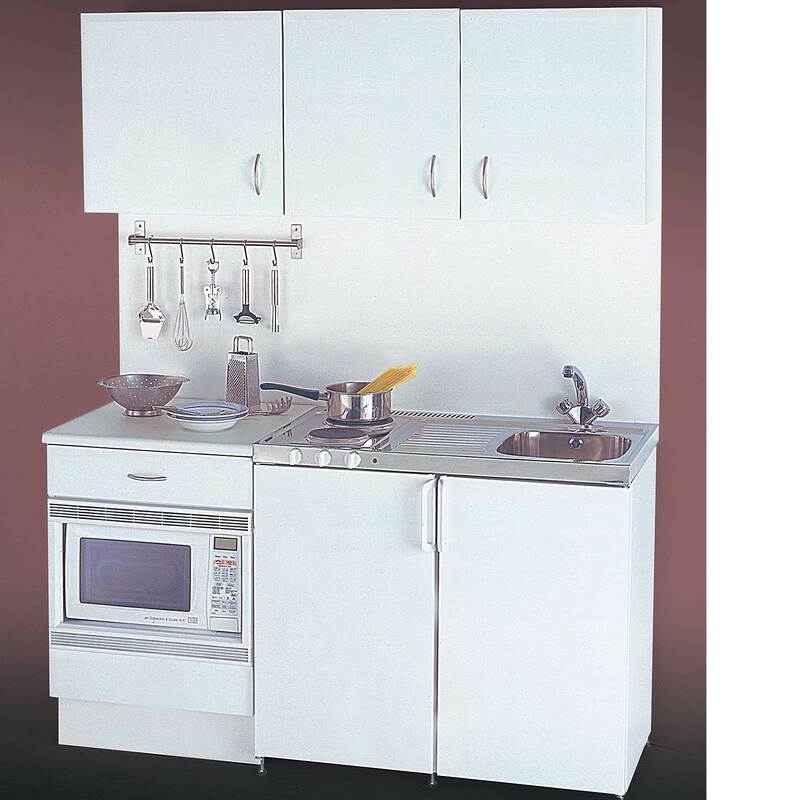 Closed, the kitchen occupies floor space of 70 by 70 centimeters, or a little over 2 feet by 2 feet. But it’s capable of expanding to triple its closed size, and three people can work or eat together at the unit, each facing a different direction. 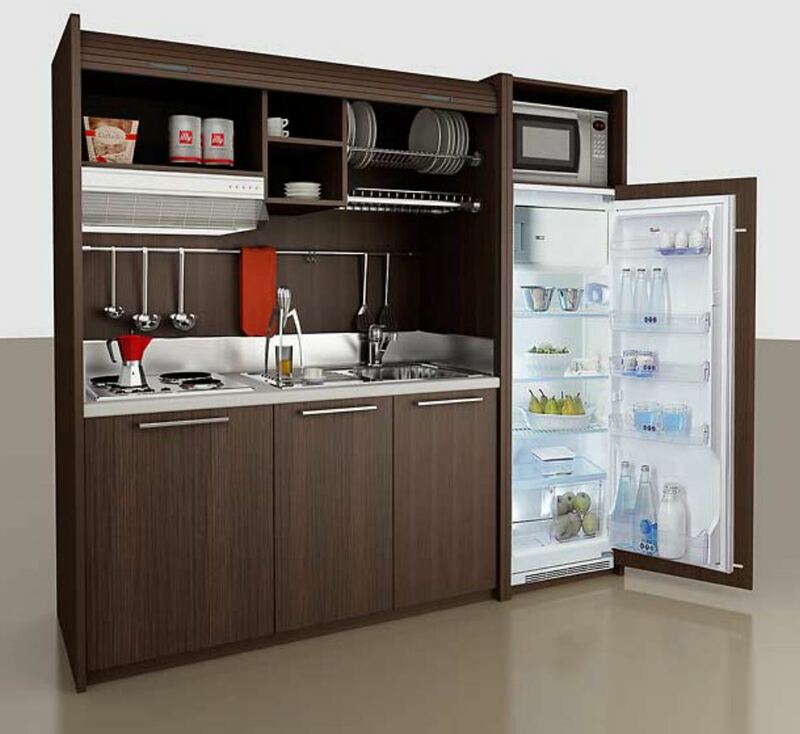 “Essentially a 27.5-inch square becomes an 82.5-inch corner kitchen,” Barth said. “Nothing like this has ever even been attempted before in terms of the rotating elements,” Barth said. So perhaps it’s no wonder that the projected for-sale date has been pushed back: There have been “a lot” of durability tests on the unit — particularly the central point of rotation and its construction materials, which have been revised “over and over,” since it’s “the key element in the product’s usefulness and useful life,” he said. Ron say that pricing information is available for the first time: In Europe, the E-Kitchen will set you back 10,000 to 11,000 euros (about $14,000 to $15,000 at the current exchange rates). Okay, stop gasping! Once you get past the sticker shock, think about what it does and how it does it. Here at RR we counsel families to look at something that appeals to them and then… reverse engineer it so that they can have it without the hefty price-tag. You could build this in a wood-working shop. In fact, you could build this using components you found at IKEA or a “big box” store. All it would require is some careful consideration and a considerable amount of attention to detail and patience. I’ll take Adam and Eve on A Raft and Wreck ’em! Thanks to you, we’re not just dreaming about “Walden Pond” any longer. We’re actually building our “cabin in the woods” based on your designs. Our cabin consists of (3) 20′ ISBUs placed side by side, but they each step up to accommodate the hillside. Each container rises up 8 inches from the last, “Corten Staircase” style… We’re topping it with SIPs and SSMR (your favorite) in a 6/12 Gable roof running from front to back with a big covered porch. SPF applied to the outside of the containers is to be covered with Hardiplank. It’s “Textbook ALEX KLEIN ISBU Building”, right? We have some great ideas for finishing out our cabin, but we’re really stumped when it comes to building a compact, versatile kitchen that can be assembled without “rocket science”. For us, breakfast is the biggest meal of the day, so we really need this little kitchen to shine. We (my wife and I) are going to use the cabin at first for weekends and family holidays – with the idea that we’ll start extending our stays so that at some point, we’ll live there full time. You showed us how to build the boxes. Can you help us “fill them”? Your design does sound vaguely familiar. I may have read about similar processes someplace… LOL! Love the “steps up” design. LOVE the roof plan. SIPs – Structural Insulated Panels topped with SSMR – Standing Seam Metal Roofing is (in my opinion) one of the very best ways to go. Adding SPF (Spray Foam Insulation) to your plan grants you high insulative values, a vapor barrier, a moisture barrier and even some additional structural strength. Top that with siding like Hardiplank (I absolutely love this stuff) and you have an easy to care for, highly efficient, durable housing solution that lasts for decades with very little maintenance. This combination is a “home-owners dream come true”. Seriously though, many congrats on taking a bold leap and putting your sweat and efforts into accomplishing your dreams. The best way to realize dreams its to EARN them with good design, solid plans, hard work and dedication. I know that you’re gonna do a great job! The best way to figure out WHAT to build, is to look at what others are actually building NOW. Then you can reverse engineer it and adapt it to your specific needs. 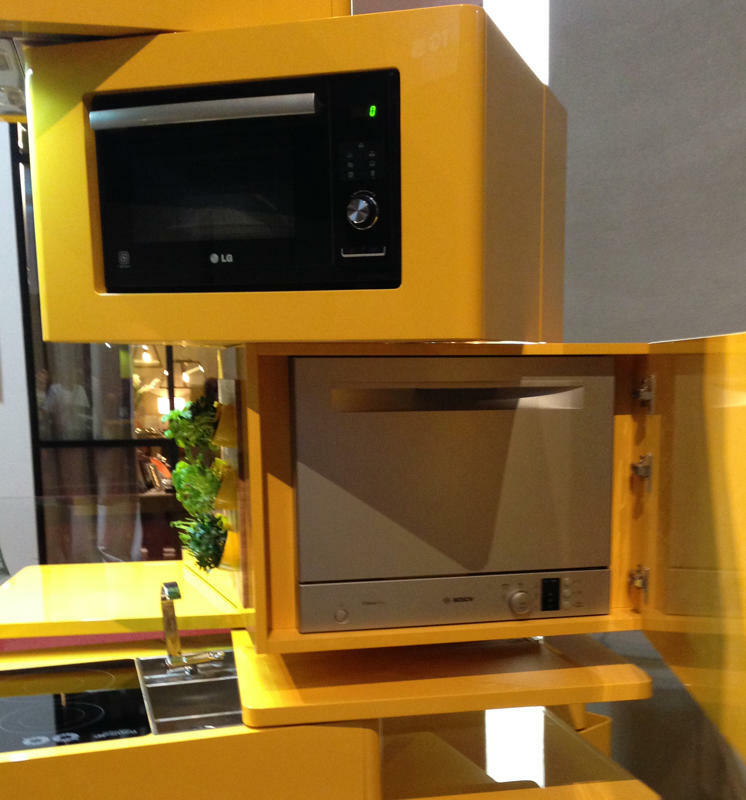 I’ve spent some time looking at these mini kitchens manufactured by a company called Mobilspazio Contract. These guys do it right, let me tell you. Not only are their kitchens efficient and compact, they’re quite attractive. And let’s face it… in a small home, you’re gonna spend a lot of time looking at your stuff, right? Personally, I like pocket doors, but many prefer the shutter options. And these MC guys got their roots in building hotel and commercial furniture. Look closely at what they do and you can see that they’ve given their designs a lot of thought and then… applied a lot of detail and quality to the finished results. Good stuff, indeed. And don’t discount the idea of using off-the-shelf cabinets (IKEA, perhaps) to duplicate these designs and then stuff them with your favorite appliances. There are ways of getting a really attractive and high-tech solution on a small budget, if you think it through carefully.